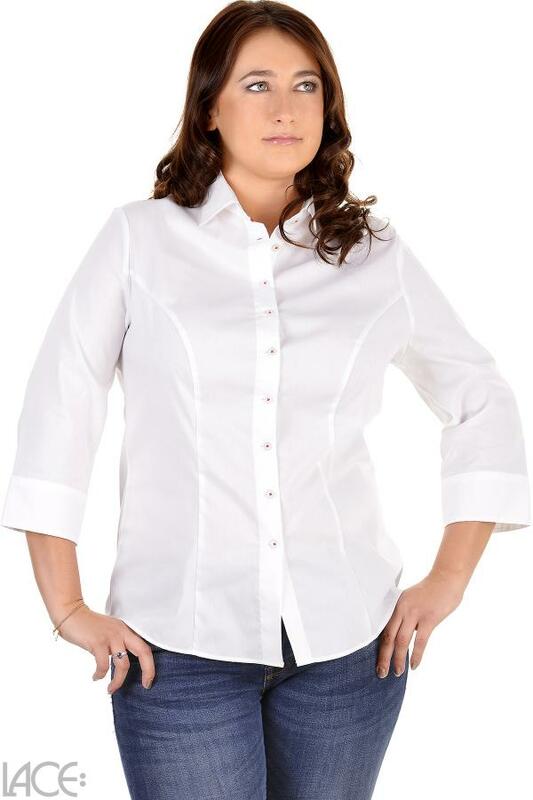 This blouse is elegant and sophisticated with a 3/4 length sleeve. Trimmed with unique red details as a decoration on the collar, cuffs and buttons, this pop of colour breaks up the crisp white for a bit of fun. 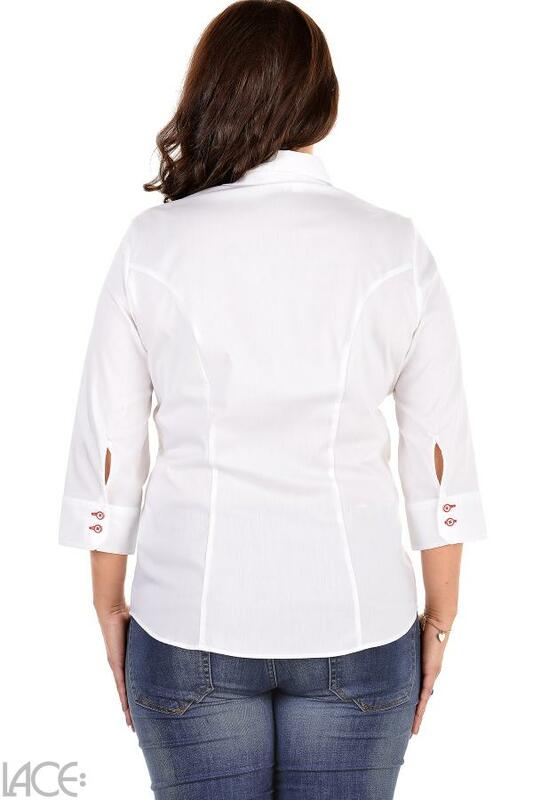 Fit and cut to size in a classic shape with two dividing seams in the front and back part, and through the addition of extra room in the bust, this blouse always sits perfectly - even in larger cup sizes. * Note: Victoria is a figure-hugging cut and therefore falls rather small! If you are at the border to the next larger size or prefer a loose fit, add about 2 cm to the measured centimetres and order the calculated size. For this blouse a mix of cotton, elastane and polyamide is used, finely spun to a wonderfully light blouse fabric - fine, with a smooth handle. Not only does it feel very smooth and easy (and is easy to iron), but it is also wonderfully cool on the skin. The ideal summer fabric! Machine wash (<40 °). Do not tumble dry. Confidence starts from the inside out - and your body confidence starts with your lingerie or swimwear. 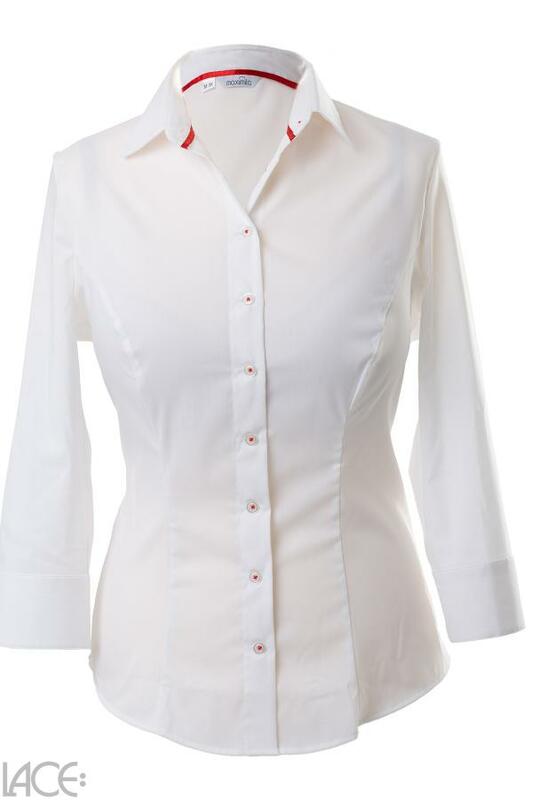 Maximila Victoria classic shirt belongs to the category Blouse and is part of the collection Classic Shirt. The product has the article number 3011SRW_whitered=01b by Maximila, and is available in the following colours: WHITE RED, and is made from these materials Cotton 72%, Polyamide 24%, Elastane 4%. We despatch your order within 3 working days, so you can expect delivery within 5 working days. We accept payments from credit cards and Paypal.